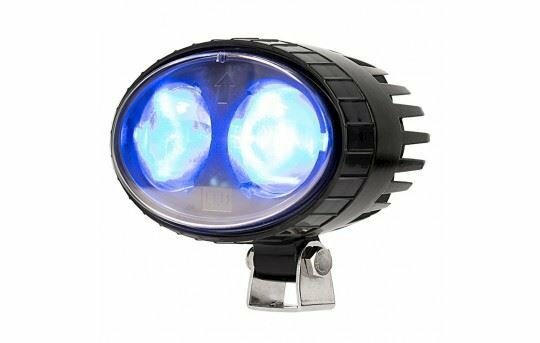 Increase your safety in your warehouse, factory, or loading docks with these blue safety lights. The powerful LED projects an eye catching blue light out in front of the path of your equipment to warn others that it is approaching. This addition of a visual queue in noisy environments can help decrease accidents.